Even as darkness fell and waters were rising on Aug. 25 when Hurricane Harvey made landfall, the people of God quickly came together to be the glimmering beacon of hope that Texas needed. 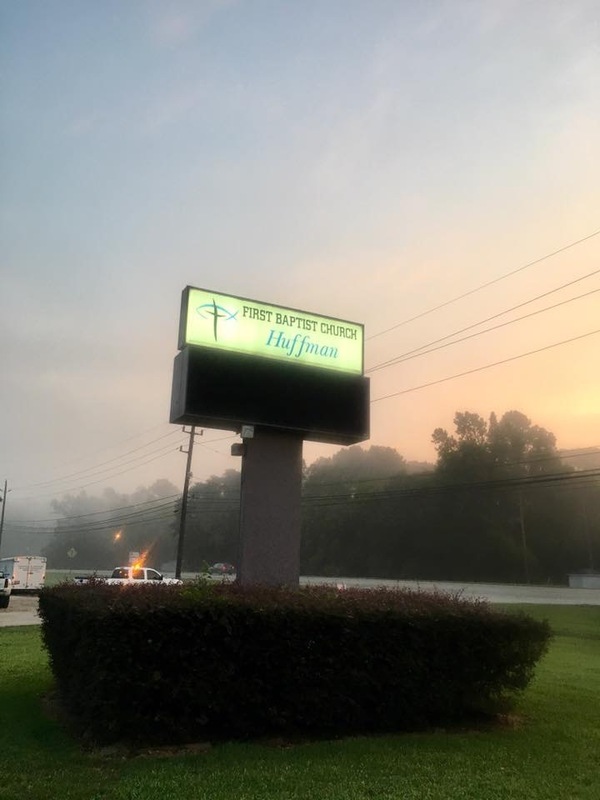 The following Sunday, Pastor Mike Martin of First Baptist Church of Huffman made several visits around town before the heavy rains hit. He stopped at the local volunteer fire department and told them the church was available if they needed help. Within an hour, the fire department contacted him and asked if the church could be used as a shelter. 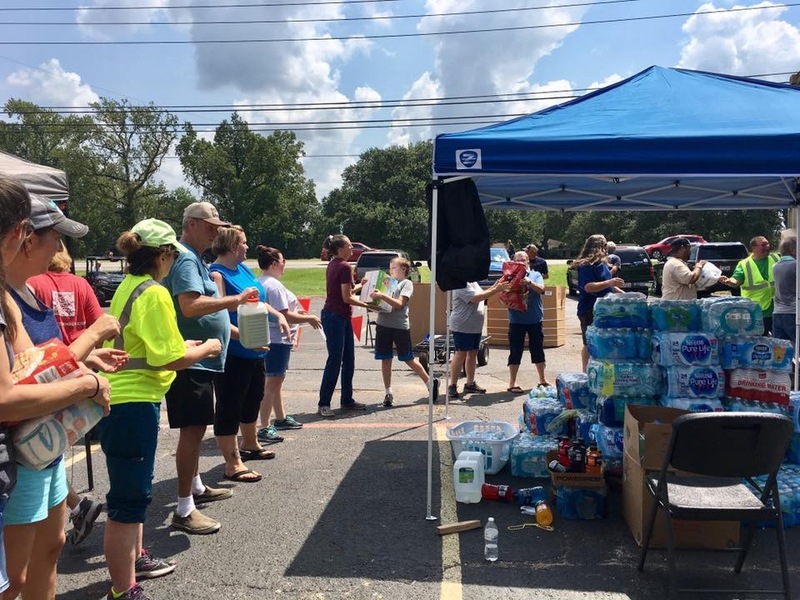 By the time the storms arrived in Huffman, a small town in Harris County, members of the church quickly sprung into action. They were mobilized by their church leaders to gather blankets, water and clothing as hundreds of people from the community showed up to the church doors seeking shelter from the storm. By Sunday night, the Harris County Sheriff’s Department made FBC Huffman into not only a shelter, but also a temporary headquarters. The water continued to flow for the next 24 hours as volunteer firefighters and civilians began going out into the surrounding neighborhoods to rescue people from their homes to the church. Along with hundreds of people, the church also sheltered the upwards of 100 animals. Though the church building had significant damage from the weather, the members did not give a second thought to helping others. “Those first two nights, I watched as hero after hero do their part - whether it was cooking in the kitchen or going out into the waters. I saw all denominations and races come together. It was a time of disaster and tragedy, but our community and churches and schools came together to shelter over 600 people,” said Martin. After four days of serving as a shelter, the church began transporting the flood victims to the NRG Stadium in Houston, for better facilities and more resources. As this happened, the church itself was able to transition from a shelter to a point of distribution. 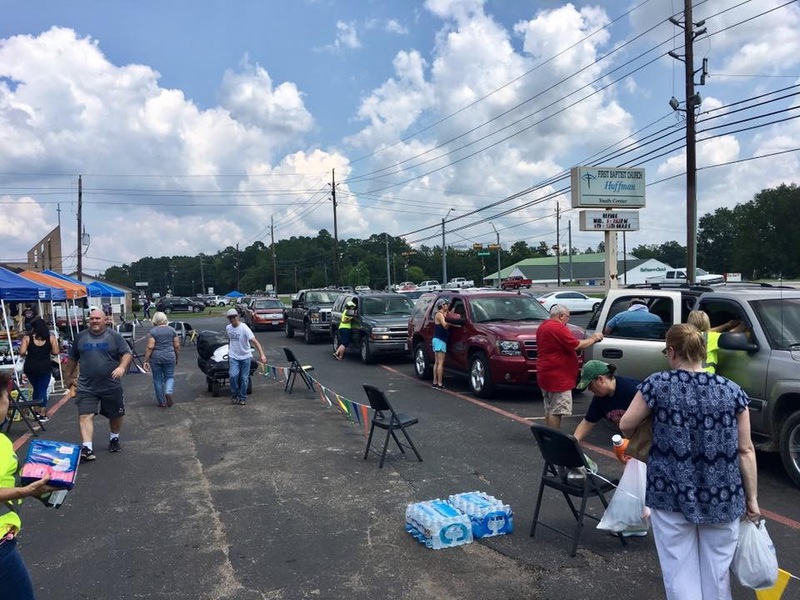 FBC Huffman was able to continue to feed hot meals to those in their community, while distributing water, groceries and cleaning supplies to the upwards for 500 cars per day for two weeks, according to Martin. “Currently, we have care teams that are going out into our communities and surveying all of the neighborhoods to assess the physical, emotional and spiritual needs of the people. Since many in our community do not have flood insurance, we’re partnering individual homeowners that suffered from the hurricane with willing churches to help rebuild their homes. We can’t remodel Houston, but we can help them with labor and materials as we’re able to,” said Martin. While all of this is happening, Martin and his team are working feverishly to refurbish their church from the storm’s damage in order to get their Sunday school program up and running again. Not only is FBC Huffman working to help rebuild the town, but also the people living in it. According to Martin, church leaders were able to have countless spiritual conversations over the course of those four days, many of which led to new relationships with the Lord. It was evident to Martin and his team the Lord was making something beautiful out of a disaster. FBC Huffman did not wait for instructions or direction to meet their community. Instead, they made themselves available to God, and He saved both lives and souls through their efforts. The tragedy became a platform for their church to tell people about the love of Jesus. Texas Baptists are collecting the names and locations of churches across the Gulf Coast that are in need of help. Churches are encouraged to create Church2Church partnerships to come alongside a church in need and provide prayer and support. For more information on how your church can help those affected by Hurricane Harvey, visit http://texasbaptists.org/harvey.